Born on April 17, 2001, Mattia Felici's age of 18 underlies his team's mean. In Serie B (Italy), US Lecce is in second position. Mattia Felici is a male midfielder from Italy, who has been playing for US Lecce in Italy since January 1, 2019. He was used in just one of the matches in the present term. He prefers to play with his right foot, as do 65% of his teammates. As an expert, Mattia Felici has been subjected to a single team (US Lecce). He played one matches in total and hindermost appeared 25 days ago. Concerning the latest matches, his club won in Serie B. In his footballer career, not a single card was ascribed to Mattia Felici. Altogether, he was substituted in only once and out not once. Currently, he entered the pit more than he left it which is different to last season wherein he showed an equal amount of both types of subs. His jersey displays the number 21. 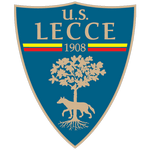 Apart from Mattia Felici, Thom Haye, Luca Di Matteo, Andrea Arrigoni, Zan Majer, Manuel Scavone, Fabio Doratiotto, Jacopo Petriccione, Marco Mancosu, Andrea Tabanelli and Panagiotis Tachtsidis are also midfielders of US Lecce.